Fringe Fridays: Soweto Gospel Choir - Adelaide Central Market: The City of Adelaide's premier food destination. Over 70 traders under one roof. We are excited to welcome back the Soweto Gospel Choir to the Market, for a sneak peek of their new Fringe show! 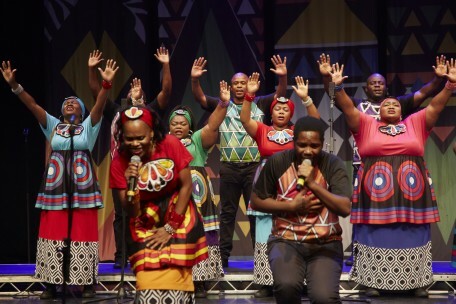 Since its formation in 2002, Soweto Gospel Choir has been universally acclaimed as one of the world’s greatest and most colourful vocal ensembles, bringing joy to the lives of audiences all over the world.